"I think there are two bubbles. 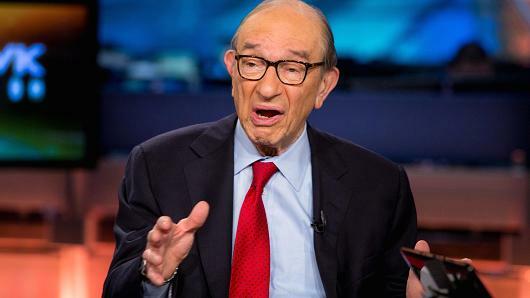 We have a stock market bubble and we have a bond market bubble," Greenspan said in an interview on Bloomberg Television. "I think [at] the end of the day the bond market bubble will eventually be the critical issue." "We are dealing with a fiscally unstable long-term outlook in which inflation will take hold"
He also went on to say that "We are working our way towards stagflation"
Former Fed Greenspan seemed worried over higher interest rates, huge national debts, and deficits.